We are all used to hearing about walls; the US government seems pretty keen on building one. The UK is putting up a metaphorical one, the white walkers finally broke through one. But the most famous wall can be found just north of Beijing. Stretching for 21,196km it was built over 2000 years to keep out foreigners. If modern leaders could learn anything from this story it’s that walls rarely work. As Chinggis Khan once said “a wall is only as strong as the men that guard it". He proceeded to bride the wall guards and expand his empire, ruling China for the next 200 years. A colossal failure, unless you enjoy a good hike! There are many ways to visit the wall with the most popular as a day trip from Beijing. Most will take you to Badaling and Mutianyu at quite a cost. The upside is that everything is organised for you, although some will make stop offs at markets to try and sell you trinkets! We decided on the opposite, visiting the wall on a budget and organised it all ourselves. Such adventurous misers that we are! For those who are short on time the Beijing Backpackers Hostel do a day tour to Jainkou for $55USD per person, which takes you on a 10km trek, and is well reviewed. We did three days on the same part of the wall for $30 for two people, including food. How did we do this?... Wild camping, home cooking and using local buses. We did a bit of research and found out about this unkept route near a little village North of the wall, it isn’t at all like Game of Thrones! The village is called Xizhazi and it’s quite difficult to get too because most of the local tourism is setup for the Badaling and Mutianyu wall sites where 90% of tourists go. This shouldn’t put you off because with a little navigational prowess you can escape the crowds. 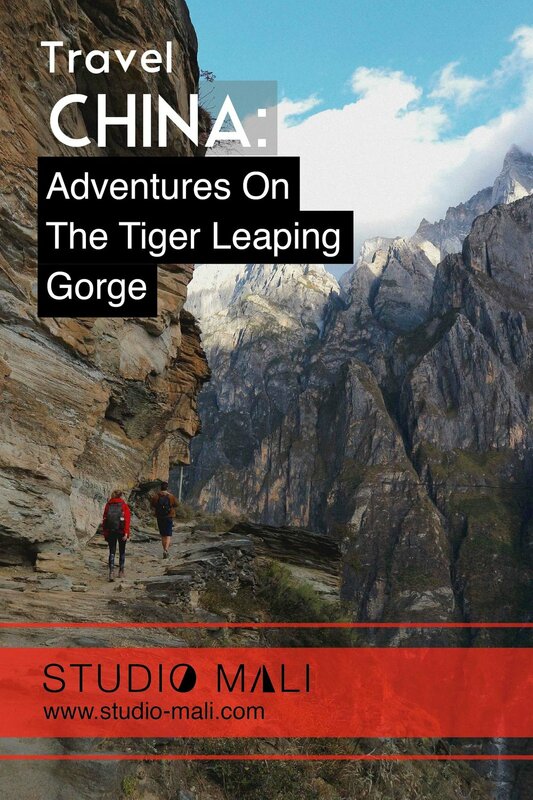 Xizhazi village will give you amazing access to the hiking routes around the beautiful Jiankou section of the wall. You will find sections that are crumbling away with debris strewn from either side. Nature is slowly taking over this section but there is considerable beauty from this entanglement. But the best thing about Jiankou? Having the 4th wonder of the world all to yourself! You should also note that it is technically illegal to hike Jiankou. Some locals might charge you 10 yuan to get in but that wasn't the case for us. We didn't see any sign of the police either. A guy we met in Beijing said 100 yuan should pay off any cop asking questions. Don't let this put you off though as it's virtually impossible for them to find you on the wall! The climate is most predictable in October and November when the monsoon season has ended and temperatures sits at an enjoyable 15-20 degrees, often with blue skies. Make sure you visit during the week because tour companies bring in groups of Chinese over the weekend. We stayed for Weds, Thurs and Friday leaving Saturday, which was lucky because it was a lot busier out on our final Saturday morning trek, every group wanted a photo with us and serenity was hugely spoilt! It's worth noting that parts of wall are very steep, near vertical in places. So evaluate the weather before you leave, if it’s raining it might be safer to wait until the rock has dried before climbing. If haven’t got time to read it then here’s an overview. You’ll need lightweight kit starting with sleeping bags, tent, hob, gas, food and water (we'll discuss provisions later). Always expect 4 seasons when camping so have clothes for hot and cold, hats, gloves through to sun cream and inspect spray. Make sure sure you have some sturdy boots, penknife, waterproof jacket and trousers. For emergencies you should have a first aid kit and contact numbers like your embassy and emergency services. We also have some luxuries like small fold out chairs and a tarp for escaping from wet weather without going into our tiny tent. This was one of the trickier parts of the adventure, which started very early in the morning. First we grabbed the tube to Dongzhimen from our hostel. From here we took the 916 bus, that leaves every 15 minutes, to the Yujiayan bus stop in the Huairou area. Be aware there are fast and slow buses, which both cost 12 yuan ($1.50 USD) per person. You will want to take the fast one which is an hour. Makes sure you tell the conductor where you need to get off so they can aid you. It’s worth writing down all the keywords in Chinese so you can communicate ‘fast bus’ ‘slow bus’, ‘Yujiayan’ etc. We used these simple symbols a lot for navigating routes in China. The next step is a bit trickier. You will need to take the H25 bus to Xizhazi village. The bus only runs twice a day at 11.30 and 16.30 so you’ll need to get there early, wait or grab a taxi. The bus costs 8 yuan whilst a taxi is more like 100 yuan with some hard negotiation. You’ll need to speak to locals about navigating from the first bus to the H25 because it’s difficult to describe. We’ll try, it’s found a block behind on a parallel road to the one where the 916 runs. This is where you’ll need those Chinese’s symbols you prepared! Be ready for hawkers who will continually try and get you in their ‘mini van’. Resist unless the you feel it’s good deal, it probably won’t be. They may also say it’s ‘another hour till the bus’, or there ‘no buses’ going today. Just politely refuse, knowing that your bus will come at 16.30. Most will say 200 yuan ($24 USD) for a drive to Xizhazi village, remember we got it at half that price. You may get it cheaper still. We opted for a, $12 USD, taxi and this was the most expensive part of the three day trip. Either way you will be dropped off at the same point in the South of the Xizhazi village, which is the last stop, and it will take around an hour. We love camping as there’s no better way to get closer to the action. But if camping is a bit too close to nature then the village has a range of small guest houses you can stay at. There are quite a few so it should be fine to turn up and arrange a bed, we couldn’t find much information on booking accommodation in Xizhazi but rest assured you’ll find guesthouses there! Many other travellers have actually slept up on the wall. They use one of the 20 towers as their evening sanctuaries. 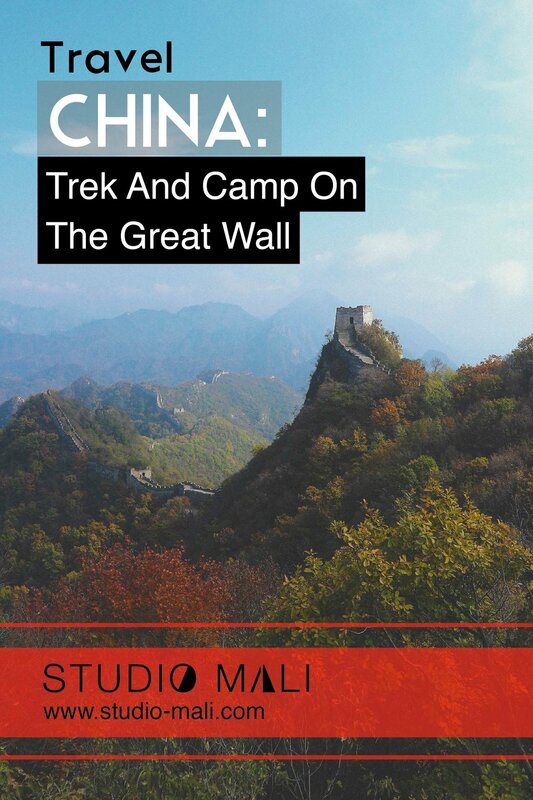 Camping on the wall would be better suited for those with two days because you could walk half the route, setup camp that night and complete the rest of Jiankou the next day. Be warned, some sections are very steep so you’ll want to pack light bags for when you climb the Eagle Facing Upward or the terrifying Sky Stair. Right, keen campers read on! If you have three, or more, days then we would recommend camping just South of the Xizhazi village. We found a flat spot just off one of the paths up to the wall. This was about 10 minutes from the village so we could pop back and re-stock on water or grab a beer at a guesthouse after a long climb. If you would like to find our camp spot then follow these directions (it's also on the map below). Start by walking to the car park at the south of village. The path splits and rejoins so walk for a couple of minutes until the path forks with a sign in the middle, take the right. Walk for 5 minutes until you see barbed wire fencing, just after you will notice a path going up the mound on the left. Take it and find lots of flat ground under the fruit trees. Adventurers might easily find other spots, so be free to search for your own pitch. The beauty of camping here is that you can be on the wall in 50 minutes or less. You can also get to the wall for sunrise or sunset, a photographers’ dream. This is the longest of the treks so it’s worth doing it on your first whole day when your legs are fresh. This route takes you from the West to East side of Jiankou. It includes both Eagle Facing Upwards and the Sky Stair, which can be very dangerous. A British guide we met told us that 20 people die each year climbing Eagle Facing Upwards. We are relatively experienced trekkers but not rock climbers and didn’t find Eagle Facing Upward so difficult. Feeling confident from the 'Eagle' we decided to climb the Sky Stairs, this was really scary as one slip could be a disaster. Imagine a near vertical wall extending for 40 metres with only little protruding rocks as steps, none large enough for a full foothold. When we reached the top we noticed a little path at the side which allows you to skip it, which we wish we had taken. We would recommend only skilled climbers attempt the Sky Stairs! Both these ascents are quite early on the route. For the rest, you will pass many undulating paths beautifully rolling over the mountains, it’s really stunning. You can take your time soaking up the view over each tower. It’s time to come off when you get to Jiankou Spot. It’s 8 towers from Sky Stair and is marked on the left hand side of the wall between blue and red ribbons on the trees. There many other paths that will take you back down to Xizhazi village before this one so you can always come off earlier and rejoin at the same point the next day. All the paths are shown on the map. You can rejoin the the wall where you left it the day before, if you walked to Jiankou Spot you’ll know the way back and if you didn’t you can find the pass upwards by walking through town and take the first right. Follow the path past a small farm, taking the track on the left, upwards. Once back on the wall, continue with the Great Wall of Fun! We managed to get as far the as the first Ox horn, the path up from here was rubble and we weren’t willing to take the risk after the Sky Stair. If you want to extend your walk there is a woodland path on the right of the wall where the paid stairwell is. The forest path is down to Mutianyu, it’s a 1.5hr walk down. Before you leave the wall you should spot a canopy where locals charge tourists to climb up to snd down from the wall using a ladder. You can avoid paying by taking the wall route back West until you see the steps down on the right, or just pay 10 yuan to the locals. The final trek is a classic up and down affair, only we went up the wrong way! We took the Beijing knot path, from day 1, up to the wall. Here we followed the path right but realised we could only get as far as a watchtower about 500 metres south of the Nine Eye Tower, it’s called this due to its nine windows. As far as we could see you are not able to get there from this route! To walk up to the Nine Eye Tower you must take a path up from the Northern side of the Xizhazi village. We would recommend asking in one of the guesthouses. Unfortunately we didn’t get right to the top on this trek. You will have to let us know how it looks. Preparing food for three days was tricky. We opted for lots of vegetables, vac packed bits and noodles because they all last well, are cheap and lightweight. We used Chinese five spice and black bean sauce to create tasty broths. Taking 3 litres of water with more purchased from the village as we needed it. It’s worth noting that water from the Village is quite pricy compared to supermarkets, but totally necessary! This was far easier than the journey out. We packed up for the 1pm H25 bus that leaves from outside the guesthouse in the centre of the village with the large yellow graphics. If you’re not sure ask one of the guest house owners, they were very friendly and helpful showing us where the bus left from. From there it’s the same buses that you used to get in, a quick change back to the 916 on the road parallel to the one you were dropped off on. Finally it’s an hour back to Beijing. Wild camping and wall trekking completed. Go you!